Your fundraising supported a citywide (and then statewide) grassroots and legislative campaign to let our legislators know the health and other benefits of going smoke-free (which saves more lives each year than seat belts!) RHA staff and volunteers were there every step of the way, urging local and state legislators to adopt one of the strongest smoke-free laws in the U.S., protecting us all from harmful secondhand smoke. 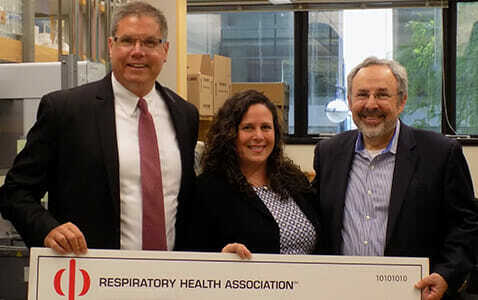 With your support, Respiratory Health Association has funded and co-funded dozens of promising researchers at Northwestern University, Rush University, University of Illinois, University of Chicago, and other institutions, totaling more than $1 million in research grants. We have also participated in local patient-centered research studies designed to improve the lives of people living with asthma and COPD. RHA-supported researchers are developing new treatments for people living with lung diseases, including asthma, COPD, lung cancer, and pulmonary fibrosis, and exploring future treatments and cures for a wide range of lung diseases. This would not be possible without the support we receive from our fundraising events. With your support, we developed a program geared to children and adults from diverse cultures who live in urban areas and face urban asthma triggers. Respiratory Health Association’s Fight Asthma Now© program, which has been found effective in a study published in a peer-reviewed, respected professional journal, has been delivered to more than 13,000 children with asthma, most of whom live in economically underserved communities. None of that would have been possible without the funds raised by RHA’s supporters. 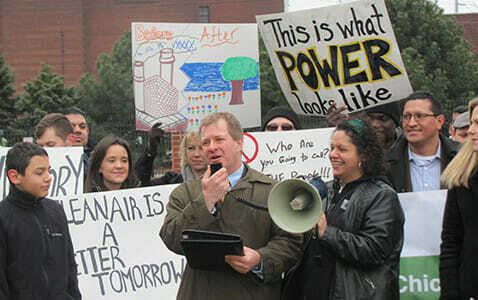 RHA’s clean air activities have resulted in numerous successes, including the closure of coal-fired power plants in Chicago and elsewhere in Illinois; passage of state and Chicago laws to reduce idling by diesel trucks; and efforts to tighten and enforce clean air rules and promote clean renewable energy statewide. 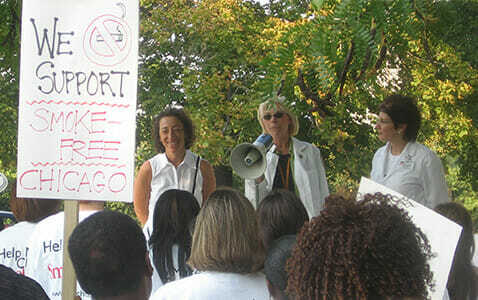 Our efforts, funded by our supporters, have reduced sulfur dioxide emissions and other pollutants by tens of thousands of tons, and avoided thousands of preventable asthma attacks, unnecessary emergency room visits and hundreds of premature deaths due to high air pollution levels in our community (yes, emergency room visits actually increase on high air pollution days!) None of this would be possible without the fundraising support we receive. Read what our past participants have to say about Hustle. For more inspiration, view our Top 10 Successes of the past year or our key milestones in the Association’s 100+ year history. By participating with RHA, you are changing the world!